Revolutions of world-historic potential, such as we are presently witnessing in Egypt, only happen once in a generation. There is enough awkwardness among the Washington establishment—bewildered at the sight of an uprising against a client state—that they are completely helpless to do much of anything in the face of the tumult on the Egyptian street. But no one is confronting a more awkward comeuppance, and responding to it more erratically, than the neoconservatives. Champions of President George W. Bush’s “freedom agenda,” the neoconservatives have repeatedly found themselves facing the discomforting reality that democratic change in the Middle East has more often than not led to the emergence of governments that are opposed to the state of Israel. First there was Hamas. Then Hezbollah. Now, potentially, the Muslim Brotherhood. And yet, instead of injecting a bit of realism into their logic, these events have forced neocons to feverishly grasp either of two contrary positions: The freedom crowd sees the uprising in Egypt as vindication of Bush’s “global democratic revolution”; the Islamophobes have begun their predictable fear mongering about the Muslim Brotherhood and the rise of the global Caliphate. On Commentary magazine’s Contentions blog, Max Boot rhetorically asked in the title of a blog “Are we all neocons now?” The Council on Foreign Relations fellow, who has been generous in his views of President Barack Obama’s approach to Afghanistan, criticized the administration’s response to events in Egypt, arguing that Obama has continued the policy started in the second George W. Bush administration of abandoning the “freedom agenda” for a push towards an illusory Middle East peace. In a Washington Post symposium, the American Enterprise Institute’s Danielle Pletka, chided Obama for being “on the wrong side of history” and insisted that “our support for secular dictators does more for Islamists than democracy promotion ever did.” The think tank more directly implicated in the Iraq War than any other apparently blames Obama for the empowerment of the Muslim Brotherhood and its Shiite analogs, conveniently ignoring decades of U.S. foreign policymaking. Postblogger Jennifer Rubin took the lead in trumpeting a vintage Washington study group led by Robert Kagan that discussed how an orderly transition should take place toward free elections. Evidently, the neocons are preparing their exit strategy if, as is likely, an unfriendly government emerges in Egypt—if only Obama had listened to our blue-ribbon panel! On his World Affairs blog, Josh Muravchik made a nostalgic call for a Polish-style Solidarity movement that can lead to free elections, yet in almost the same breath made clear his implacable opposition to the Muslim Brotherhood. At the New Republic, Leon Wieseltier, no slouch when it comes to speaking bluntly about the Middle East, lashed out not only at Obama but at all of American liberalism for abandoning democracy and being apologists for Hosni Mubarak. Exactly who these leading liberals are who have been at the ramparts defending the honor of Mubarak he does not say. The only conceivable example he might have in mind is the odd case, to put it charitably, of Chris Matthews. In the Weekly Standard, Thomas Joscelyn of the Foundation for the Defense of Democracies repeated much of the standard litany about the global conspiracy represented by the Muslim Brotherhood. He insisted that the Muslim Brotherhood and al Qaeda differ only in means and not ends, echoing the radical right Cold War trope that communism and social democracy were divided only by means and not ends. At Pajamas Media, Ron Radosh raised the specter of the Iranian revolution. Harping on Richard Falk’s lengthy essay published at the time of that revolution, Radosh never stopped to consider that the hostage crisis and thirty years of non-relations were not inevitable. With Joscelyn, Radosh also focused his fire on Bruce Reidel of the Brookings Institution’s Saban Center for calling for calm consideration of Muslim Brotherhood. This has been a particular schtick of Radosh for a while now—denouncing a nominally liberal member of the “Israel lobby” (the Saban Center)—for being in cahoots with the mortal enemies of the west. In the Jerusalem Post, Caroline Glick hysterically denounced Mohamed ElBaradei, Egyptian opposition leader and former head of the UN nuclear watchdog the IAEA, as being an accomplice of both the Muslim Brotherhood and Iran. She then declared that the Camp David Accords are almost certainly dead as a result of the events in Egypt, and described the Egyptian military that has survived for three decades on American handouts as more than a match for the Israeli Defense Forces. What accounts for this divide in neoconservative discourse? Nuances abound to be sure. For instance, while the case of Leon Wieseltier seems to be a horrified response to the fear that the Egyptian revolution bodes ill for Israel, a deeper pathology seems to be at work with the doctrinaire neoconservatives clustered around Commentary magazine. In a curious legacy of neoconservatism’s roots in Trotskyism, the neocon core seems to be characterized by a pathological insistence upon its internationalism, which leads them to their insistence that they are in fact witnessing the birth of a global democratic revolution. This also, it should be noted, seems to supersede any petty scores to be settled in defense of the Bush administration. Dana Perino amply covered that ground on Fox News, even to the point of embracing the Muslim Brotherhood. On the other hand, the Anti-Islamist Scare that has gained full steam since the election of Obama appears to be a completely distinct phenomenon from historic neoconservatism, notwithstanding how opportunistically it has been embraced by figures like Bill Kristol and the Liz Cheney-led Keep America Safe. It is a phenomenon straight from the pages of Richard Hofstadter’s The Paranoid Style In American Politics. Whereas Hofstadter famously pointed to projection in the anti-Catholic Ku Klux Klan who “donned priestly vestments and constructed an elaborate hierarchy and ritual,” the backlash against the so-called Ground Zero Mosque—with its frank talk of “sacred ground”—reflected the desire to construct an American holy of holies. More generally, the anti-Islamist conspiracy theories that pervade much of mainstream U.S. discourse can be viewed as a projection of the militant world-redemptive creed of “Americanism” on to the Islamic faith. David Gelernter, an overzealous devotee of Norman Podhoretz, was the author of a book several years back that proclaimed “Americanism” as “the fourth great western religion”—the first three being Judaism, Catholicism, and Protestantism, pointedly excluding Islam. As Peter Beinart noted in a column at the height of the Manhattan mosque controversy, both the 1920s Klan and McCarthyism emerged as the United States came to realize the limits of its power abroad, resulting in increasing anxiety in American society and the search for internal enemies. The coming to power of the Muslim Brotherhood in Egypt, even and perhaps especially if the Obama administration handles it responsibly, may well unleash a terrible anti-Muslim fury in the United States that will make a mockery of the pro-democracy optimism that many of the neocons—and indeed much of the Washington establishment—have embraced in their helplessness to shape the course of events in the region. Jack Ross is a contributor to Right Web and writes for theAmerican Conservative. Max Boot, “Are We All Neocons Now?” Commentary, January 28, 2011, http://www.commentarymagazine.com/blogs/index.php/boot/388438. Seven Heydemann, “How Should the U.S. Respond to the Protests in the Middle East?” Washington Post, January 30, 2011, http://www.washingtonpost.com/wp-dyn/content/article/2011/01/28/AR2011012807209_3.html. Jennifer Rubin, “On Egypt, Obama offers ‘too little, too late’,” Washington Post, January 30, 2011 http://voices.washingtonpost.com/right-turn/2011/01/on_egypt_obama_offers_too_litt.html. Joshua Muravchik, “What Egypt Portends: Three Scenarios,” World Affairs, January 28, 2011,http://www.worldaffairsjournal.org/new/blogs/muravchik/What_Egypt_Portends; Joshua Muravchik, “The Mirage of Moderate Islamism,” World Affairs, December 30, 2010, http://www.worldaffairsjournal.org/new/blogs/muravchik/The_Mirage_of_Moderate_Islamism. 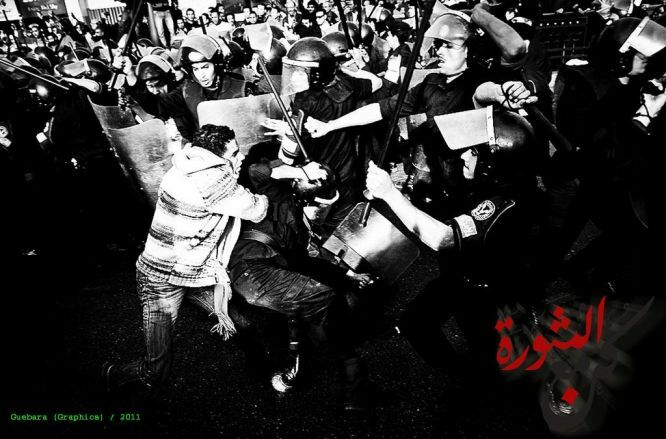 Leon Wieeltier, “American Liberals and the Streets of Cairo,” The New Republic, January 29, 2011, http://www.tnr.com/article/world/82435/egypt-riots-american-liberals-cairo. Frank Gaffney, “The Muslim Brotherhood is the Enemy,” Andrew Breitbart Presents Big Peace, January 30, 2011, http://bigpeace.com/fgaffney/2011/01/30/the-muslim-brotherhood-is-the-enemy/. Eli Clifton, “CPAC’s Islamophobia-Friendly Screening Schedule,” Lobelog, January 28, 2011,http://www.lobelog.com/cpacs-islamophobia-friendly-film-screening-schedule/. Thomas Joscelyn, “The Muslim Brotherhood is No Friend,” The Weekly Standard, January 28, 2011, http://www.weeklystandard.com/blogs/muslim-brotherhood-no-friend_537572.html?nopager=1. Ron Radosh, “The New American Fans of the Muslim Brotherhood in Egypt,” PajamasMedia, January 30, 2011, http://pajamasmedia.com/ronradosh/2011/01/30/the-muslim-brotherhood-in-egypt/?singlepage=true. Caroline B. Glick, “Column One: The Pragmatic Fantasy,” The Jerusalem Post, January 28, 2011, http://www.jpost.com/Opinion/Columnists/Article.aspx?id=205559.